The files on this page are earlier Dustin's releases from the year 2010. These are conversions of Enayla skins from the Sims2 to Oblivion (and maybe some more things), that were previously deleted and unavailable for quite a long time. Why do I reupload them here? First and foremost, I want to keep all the works ever made by dearest Dustin in a one place. And this place I consider the most appropriate for this. 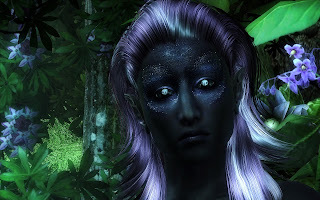 I have recently made an acct on a 'modding' site, and to my great surprise I stumbled upon a translation of Enayla Demonic file, some googling revealed other sources of this file, and I thought - why do they have this file and I do not? I had to fix this. Lastly, according to the feedback I have read over the web, these files are still (!!!) loved and some people were requesting their come back. As a kind hearted person and the most passionate lover of Flan's work I thought that these requests should be finally fulfilled. THE MODS ARE PROVIDED AS THEY ARE. WE STOPPED WORKING ON THEM A LONG TIME AGO. Do not use parts of these mods in your own mods. Do not issue fixes, translations and do not reupload the files without my and Dustin's express permission. Yes, exactly - even if you do believe that we are a one schitzophrenic person, this doesn't excuse you from not connecting with the both of us, me and Dustin, in case you need a permission sort of thing. Being nice is always the best way to get what you want.